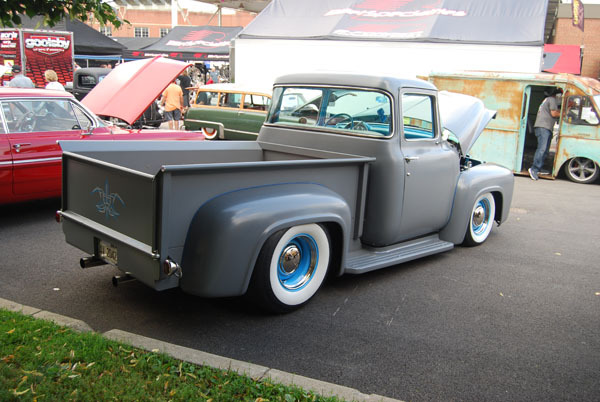 We spotted this truck off the main car show area in the shade of a building at the 2016 Goodguys Car Show in Columbus, Ohio. It’s Old Skool Cool. Body modifications were minimal. This was just a very nice home build with a little different theme. 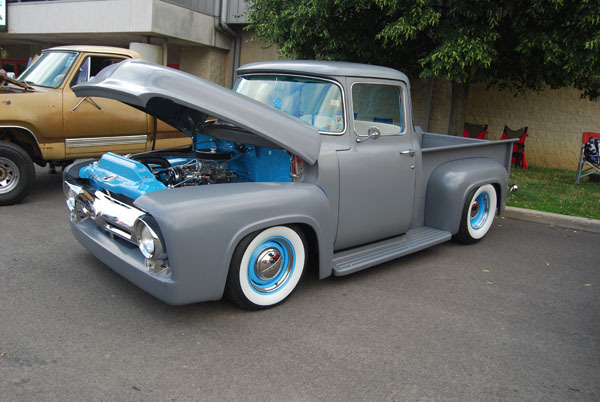 You don’t see mostly gray classic trucks with light blue accents often, but it works really well. 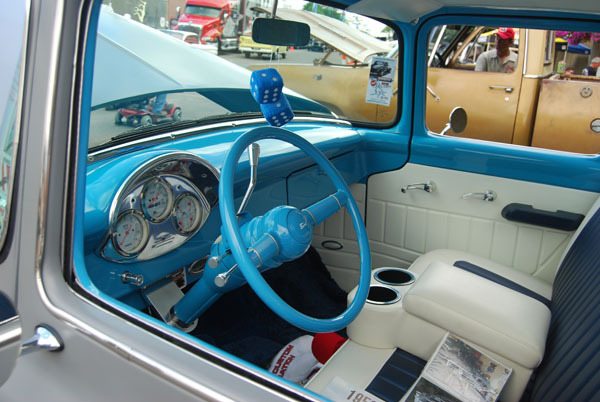 Sporting the wide whites and original 1956 Ford truck hub caps, we love the simplicity of this old Ford. The 56 chrome grille is a great addition to the look of this F100. Under the hood is a 351W with a C6 automatic. Inside is a custom interior sporting a center console, custom tilt column, billet aluminum dash panel and custom door and window handles. Next article1953 Ford Panel Truck Anyone?